What are Canadian blue chip stocks? 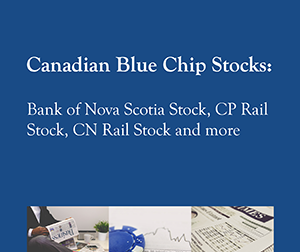 Canadian blue chip stocks are big, well-established, dividend-paying corporations in Canada with strong business prospects. Canadian blue chip stocks are investments in companies that also have sound management that should be able to make the right moves to keep competing successfully in a changing marketplace. 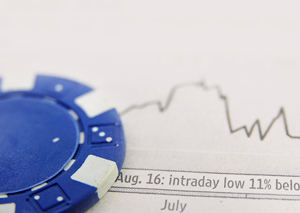 The root of the term “blue chip” stems from the game of poker, as the blue chips represent the highest value. Investing in blue chip stocks can give you an additional measure of safety in today’s turbulent markets. Most of the best Canadian blue chips offer both capital gains growth potential and regular dividend income. The dividend yield is certainly one of the most concrete indicators of a sound investment. It is the percentage you get when you divide the current yearly dividend payment by the share or unit price of the investment. It’s an indicator we pay especially close attention to when we select stocks to recommend in our investment newsletters. Most of the Canadian blue chip stocks you hold in your portfolio should offer good “value”—that is, they should trade at reasonable multiples of earnings, cash flow, book value and so on. Ideally, they should also have above average-growth prospects in expanding markets. TRANSCONTINENTAL INC. (Toronto symbol TCL.A; www.tctranscontinental.com) is the largest commercial printer in Canada and the fourth-largest in North America. It also publishes newspapers and magazines.